The Greek tragedy of national economic collapse appeared to be turning into farce with the re-election of Syriza at the end of September. The leftist party had been first elected only seven months earlier on the promise to end the austerity measures forced on Greece by the troika of the European Union (EU), International Monetary Fund (IMF) and the European Central Bank (ECB) in exchange for $339 billion in bailout loans (see March Monitor). Reforms to that point had devastated the Greek economy causing it to shrink by 25% and increasing overall unemployment by the same amount, and pushing youth unemployment to 48%. Syriza has now been returned to power after pledging to enact arguably more severe austerity measures than the ones it had first been elected to oppose. A month after the July 5 referendum, in which Greeks overwhelmingly (61.31%) rejected the troika’s bailout plans, Alexis Tsipras, Syriza’s leader, signed a third memorandum of understanding with Europe, in which his government agreed to significant tax hikes, drastic pension cuts and wide-ranging privatizations that exceed many of the structural reforms undertaken over the previous five years. When some of his own party members rebelled against this clear betrayal, ending Syriza’s coalition majority in parliament, Tsipras called an election. The party took 35.5% of the vote in September, winning 145 seats in the 300-seat Greek parliament—only slightly lower than its January performance—allowing Syriza to again govern in coalition with the right-wing Independent Greeks party, which won 10 seats. Syriza’s closest rival, the right-wing New Democracy party, got 28% of the vote, but the more important voice came from the many people who did not vote. This election saw the highest abstention rate in Greek history (45%), signifying widespread dissatisfaction with Syriza and the Greek political system in general. This is particularly remarkable in a country where voting is compulsory. Cyprus-based author and news commentator Andreas C. Chrysafis, who supported Syriza in January, told me “the Greeks can take no more austerity—they have reached rock bottom and that is why they did not vote; they no longer trust the system. The Greek debt is not sustainable and only a madman would believe that it is. It was a bad mistake by Tsipras to betray the trust of the people, which is unforgivable. 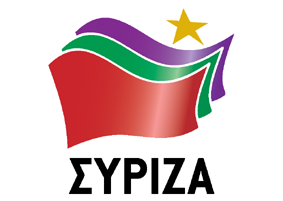 I do not support Syriza any more nor do I support the current political mentality of the Greeks. The central contradiction brought out by both of this year’s Greek elections has been the electorate’s desire to end the EU’s austerity measures, but to also stay in the EU. Syriza reflects the pro-EU stance of most Greek voters, which hobbles its attempts to negotiate a better deal, with fewer neoliberal concessions, in return for badly needed loans. Chrysafis warned, “If the Greek government and the political elite insist on introducing all of the Troika’s [bailout] conditions, the Greek people will rise up and possibly topple the government for a new start. They did that before with the Greek junta [the military dictatorship which ruled from 1967 to 1974] and would not hesitate to do it again.” The author says a similar wave of antipathy is affecting politics in other parts of Europe. The Communist Party of Greece (KKE), which has long warned that Syriza was no different from the other pro-austerity mainstream parties (New Democracy and the social democratic PASOK) that have perpetuated Greece’s economic crisis, won 15 seats in the Greek parliament in September. Plato Routis, the party’s representative in Toronto, told me the Communists are, “the only party in the Greek parliament that opposes austerity and Greece’s membership in the EU and in NATO. But we go further because the main issue is about who controls the economy and the means of production. We want to nationalize the big banks, major corporations including shipyards, and the natural resources of Greece. We will strongly oppose all austerity measures that Syriza will try to impose and do this inside and outside parliament by mobilizing the people against them. We have close relations with the All-Workers Militant Front (PAME), the most militant trade union confederation, which will be supporting our efforts. Routis said he considers the EU a trap that has robbed Greece of its political and economic independence and demolished the country’s industry. He thinks that this independence must be regained if Greece is to recover economically. Greece is a rich country, contrary to popular belief. We grow wheat, vegetables, sugar, cotton and we have oil, bauxite and chromium. Some years ago we were not only self-sufficient in food production but were exporting food so Greece has the resources to sustain its population. In fact, the Communists are not as alone in some of these plans as Routis suggests. The new Popular Unity party, a splinter group of former Syriza radicals, also plans to steadfastly resist new austerity measures, but will support the party when it introduces social measures such as legalizing gay marriage or implementing more welcoming immigration rules. In spite of its anti-austerity position, which most Greeks share, and its commitment to rebuilding the Greek economy to benefit the majority, the KKE remains stuck at 15 seats in parliament, which is the same number it had before the election, placing it fifth among parties. Alarmingly, Golden Dawn, a neo-Nazi party with criminal connections whose leaders are in jail for murder, won an extra seat in September’s elections, placing it third among parties with 18 seats. Routis explained that the KKE’s limited voter base stems partly from the fact that despite five years of brutal austerity, Greeks are not yet ready to leave the EU, so they vote for the lesser evil, Syriza, as opposed to the mainstream New Democracy and PASOK, which are largely blamed for the economic mess. “People would like to give Syriza another chance because it has only been in power for seven months”, he said. Varoufakis suggested Europe’s refugee crisis might have played a role as well. “A comparison [by the conservative opposition] between the welcome afforded to the thousands of ship-wrecked people in recent weeks with the concentration camps built by the Samaras government explains why disappointed progressives swung back to SYRIZA in the polling stations,” he wrote. The pro-austerity, pro-EU parties were not above fear-mongering, says Routis. Their line of argument suggested that “without the EU the Greeks would lose whatever little money, jobs or property they have left at present and become isolated internationally. There is also the fact that the Greek people have not felt the full pain of EU-enforced austerity yet, which will come with the implementation of the third memorandum during the coming months. It is true that Greeks have suffered a lot during the last five years of austerity, but there is even greater suffering to come. Asad Ismi is the international affairs correspondent of the CCPA Monitorand author of the radio documentary Capitalism is the Crisis which has been aired on 42 radio stations in Canada, the U.S. and Europe reaching 33 million people. For his publications visit www.asadismi.ws.